How to Remove Computer Virus Using Command Prompt ? | PBSMLINKS | A Complete Information Sharing Portal!! Home Computer Tips How to Remove Computer Virus Using Command Prompt ? How to Remove Computer Virus Using Command Prompt ? -(minus) sign before an attribute it means removing attributes and +(plus) sign mean giving attributes to the file or folder. example ) attrib -r -a -s -h file.txt this will remove all attributes from file.txt and attrib +r +a +s +h file.txt will give all attributes to file.txt . If pen drive or other hard drive is infected by virus ,Command prompt is the best option.Follow the steps given below. 1). Go to the command prompt by start>all programs>accessories>command prompt or press windows key+r and enter cmd . 2). Go to the drive where you want to delete virus example write d: to go to D drive . 3). Type “attrib -r -s -h *. */s /d” without quotations and press enter . 5). Delete all the .inf,.exe ,.dll,.log extension file if they are not your files by using dos del command . 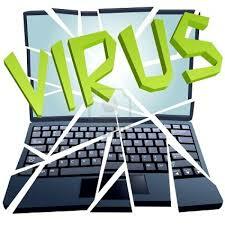 Now Your pen drive is virus free .